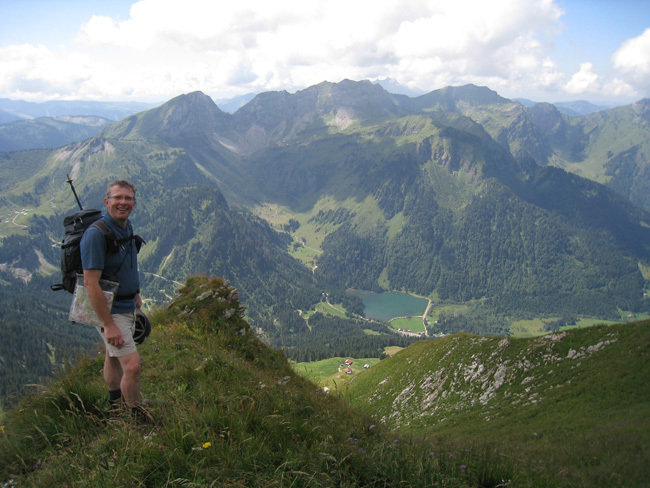 What to take on a self-guided walking holiday with Headwater? First rule! Don’t pack too much. To transport everything you need for your holiday, a soft bag with pull handle is my favourite, and take one which is a little over capacity, leaving room for the odd bottle or two you might be tempted to buy, or those essential souvenirs. Second, you need to think of the trip in two halves. Durable walking kit for your days on the route, and some nice smart-casual clothes for your time at the hotels. Hotels will range from ‘rustic’ to 5*, so that’s one best left to our lady clients! Third, don’t over-engineer what you need to carry with you on the walks. I consistently use a 25L (extendable by a further 5L) rucksack and favour those with a mesh back and curved frame that leaves a gap between your back and the rucksack itself. The Berghaus ‘Freeflow’ design is a good example of the ilk. My clothing choice will vary according to the walking terrain and weather conditions expected of the destination. But core items will always be lightweight walking shirts like Rohan’s Ultra Silver range (which dry in a very short time) and perhaps a merino T-shirt made by Icebreaker (nice and warm, even when wet). I usually use lightweight walking trousers with zip-off bottoms. On some walks the climate may favour shorts, but often the undergrowth can be a little overgrown and prickly for bare legs. In terms of footwear, this is a very personal choice but for most Headwater walks in warmer climates lightweight walking boots like Meindl’s Respond Mid GTX are perfect, affording ankle protection that most ‘trail shoes’ cannot, and for ‘3 Boot’ walks full leather boots with a slightly more rigid sole like the classic Scarpa GTX will always prove their worth on rockier paths and steeper slopes. I’m a ‘double sock’ fan, with thin inner socks under some thicker wool socks affording a good defence against blisters. Don’t forget a sun hat (and a light woollen one if your itinerary takes you to higher altitudes). You might also pack a Buff – an inexpensive but versatile item that can be turned into a headscarf, neck scarf, bandana, or whatever takes your fancy! Waterproof gear is a must for some destinations, more usually the mountain holidays, and I prefer middleweight spec gear over the ultra-light clothing offered by some manufacturers, having been drenched in the latter several times in the Alps and Pyrenees! Rab is my brand of choice for outer shell garments. And add a thin fleecy and some lightweight, windproof gloves for higher altitude itineraries too – Black Diamond have a great range of gloves. A small first aid kit: some plasters, a pack of Compeed (to apply as soon as you feel a blister is threatening), antiseptic wipes, maybe a bandage, and some cream in case of an insect bite. If you’re a regular walker in more remote spots I’d recommend an ‘outdoor first aid’ course. A vital life skill in my opinion. Some small packs of tissues and wet wipes. Small head torch (Petzl and Black Diamond are the one’s to get): good for emergency use, walking through tunnels or exploring archeological sites, and for occasional power cuts in the hotels! A compass, as long as you know how to use one! (Silva is the brand to get) and/or a GPS unit, as Headwater have started way-pointing many of their walking routes in Europe). I use a SatMap Active 10 but Garmin is also worth a look. Sunglasses, with high UV protection rating. And sunscreen: apply before you set off. Walking poles. More and more people use two poles in ‘Nordic’ walking style, but personally it’s not something I find necessary. Unless I’m venturing on to terrain which involves very steep and unstable descents (not usually found on Headwater routes) where two sticks become very useful for security and balance, one stick is usually enough and only used for steeper descents. Getting your body used to descending easier ground without sticks helps you develop a better natural sense of balance and I’d only get the pole out when the angle steepens to a point where this balance starts to feel compromised, or when the knees are starting to complain! Leki and Black Diamond are the leading brands, and I’d go for either titanium or carbon poles to minimise weight. 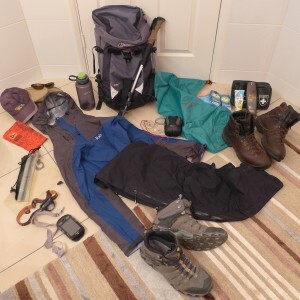 In wetter climes, consider packing everything inside your rucksack in a ‘fold-dry’ bag: Exped would be my brand of choice. More and more rucksacks do now come with an integral ‘rain cover’ but I’ve found them ineffective beyond a light rain shower. Finally, take a tube of ‘travel wash’ which means that you can pack even less as shirts, socks and underwear can be washed at your hotel, and an insecticide spray is invaluable for those pesky little critters in some locations. Oh, and swim gear for the hotel pool. Well, apart from the kitchen sink, I think that’s about it, although I haven’t yet mentioned all the other paraphernalia that you may choose to drag along with you: power adaptors, mobile phones, tablet computers, laptops, sound systems or headphones to plug your mobile devices into, note books and pens, camera and multiple lens options (with cleaning tools, of course), video recorders, mobile solar power chargers, camera chargers, mobile and laptop chargers …. I could go on. Needless to say, I never follow my own advice, so still have to face the anxiety of the check-in scales at the airport!